Feb 9 Cory Gardner: Dead Man Walking? This time four years ago, Cory Gardner was basking in the glow of victory. As one of the most prized Senate recruits in a Republican wave year, the two-term congressman had taken out an incumbent Democrat in a purple state to earn a spot in the U.S. Senate at just forty years old. Four years before he had pulled off a similar feat, leaping from the Colorado legislature to the House of Representatives by beating incumbent Betsy Markey by 11 points. That election, in turn, continued a streak that started just five years out of law school, winning a seat in the Colorado House of Representatives by 45 points in the Democratic wave year of 2006. Add to that policy chops honed as Legislative Director to a U.S. Senator and more than a decade in public office, and Gardner is someone to be taken seriously in and out of the Senate. But in less than two years, the former political wunderkind will face his greatest electoral challenge yet: one that may well stop his heretofore meteoric rise in its track. The challenge that Gardner faces in two years is as simple as it is difficult: he will be running for reelection as a Republican in a state where Democrats hold all of the statewide offices but his. In addition, he will presumably be sharing the ballot with a President whose approval rating in Colorado is stuck in the low 40s. He will also face the voters in an era where voters in presidential elections are increasingly reluctant to split their votes between parties: 2016 was the first presidential election in history where every state voted for the same party in simultaneous presidential and Senate races. In a state that Obama won twice and Hillary Clinton carried by 4.5 points, bucking that trend will be arduous at the very least. Gardner, more than many, knows how difficult his path will be. He’s fresh off a rotation as chair of the National Republican Senatorial Committee (NRSC), the outside body charged with protecting Republican incumbents and recruiting challengers to Democratic ones. As chair, Gardner successfully oversaw the defeat of four Democratic incumbents running in red states––the mirror image of his own situation in 2020––but also watched one of his own incumbents, Sen. Dean Heller, go down in Nevada. Heller’s case, especially, should give Gardner pause: he was a battle-tested incumbent who won his first term in a hard-fought race in 2012 even while Obama was carrying the state by 6 points. None of that saved him from losing by 5 points six years later, in a state that Hillary carried by a smaller margin (2.4 points) than she did Colorado (4.5 points). Although Garnder’s time as head of the NRSC will give him extra fundraising and campaign experience to use in 2020, it shouldn’t give him too much comfort: since 1986, four chairs of the NRSC have gone on to lose their own reelections, all of them in the election cycle following their chairmanship. The unknown factor here is, of course, who will face Gardner. Democratic politicians smell blood, and the Democratic field is likely to contain a former State Senator, two former Speakers of the State House of Representatives, and a U.S. Attorney, with the possible entry of several members of the state’s Congressional delegation. The big question mark is former Governor John Hickenlooper, an ex-geologist, brewery owner, and mayor of Denver who won two terms as governor in Republican wave years, including the same year that Gardner was last on the ballot. Hickenlooper, however, is seen as much more likely to run for president. Should his presidential aspirations fail to pan out, however, expect him to be the Democrats’ top recruit. Gardner’s best hope is for a bloody, crowded Democratic primary to produce a wounded nominee--a Hickenlooper entry, which would probably clear the field, would be his worst-case scenario. To survive all this, Gardner is attempting to cut a moderate profile, and he is willing to break with the President on issues like immigration. He was one of just six Republican senators to vote yes on a bill to end the recent government shutdown without any money for a border wall. A similar triangulation strategy worked for many years for another Colorado Republican, Congressman Mike Coffman, who handily won 5 terms in the House by double digits even as his district was carried handily by both Clinton and Obama. But Coffman’s strategy failed for the first time last fall when he lost his seat to Democratic candidate Jason Crow by 12 percentage points. 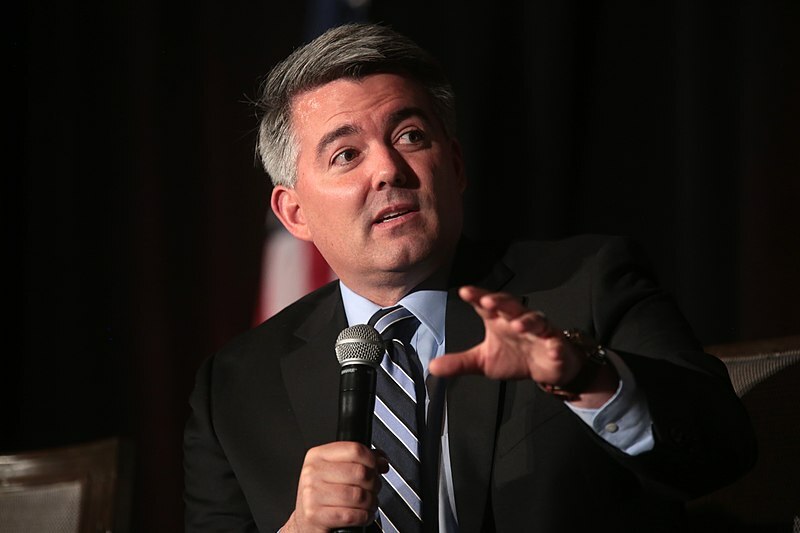 Whether Cory Gardner will fall victim to similar trends, or if he can buck them to pull off another impressive victory, will be one of the great questions of the 2020 cycle.